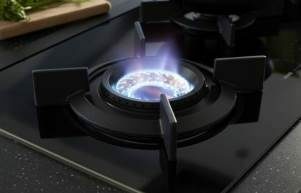 Appreciating appliances is easy when they enhance quality of life. A superior washing machine should improve results without increasing the workload, using adaptable programs for every type of wash. Washing machine capacity is also improved with the use of stainless steel and single piece components designed for performance and durability. ASKO washing machine capacity options make choosing the right washing machine an intelligent laundry decision. What is the capacity of a standard washing machine? Washing machines have evolved over the decades. What was once a one-size-fits-all approach has become a competitive washing machine market where tailored solutions are appreciated. Nowadays it’s not uncommon for 8kg and 10kg washing machines to handle the workload in contemporary homes. People are on-the-go, and if versatile ASKO washing machines can improve outcomes, they are worth serious consideration. Innovative features include SensiSave that detects moisture levels, adjusts water use accordingly, and can save you a bundle on energy bills. An ASKO 8kg washing machine, for example, can comfortably wash smaller loads without wasting water or energy. 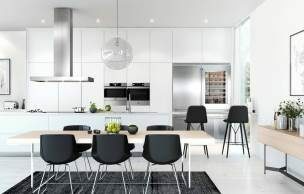 And of course, the seamless manufacture and Scandinavian minimalist appeal remains popular in Australian homes. How to calculate washing machine capacity? There are various types of washing machines available including top-loaders, front-loaders and washer/dryers. Washing machines are available in a range of sizes, so choosing the right one to match your needs will take some investigation and calculation. A too-small washing machine won’t keep up, while an oversized appliance can increase running costs, so figuring out your requirements is all part of selecting the right model. All washing machines sold in Australia are measured in kg capacity. These weights refer to the wash load and not the weight of the appliance. For example, an 8kg washing machine is designed to handle 8kg of wash items. Here is a very basic washing machine capacity guide to put you in the picture. Here is another easy way of estimating the right washing machine capacity for you. 1: Step on the bathroom scale and weight yourself. 2: Now weigh yourself while holding your full washing basket. 3: Subtract the smaller number from the larger and you will have a wash load weight estimate. Once you know the washing machine capacity that matches your needs, you can fine tune your purchasing power. ASKO 8kg and 10kg washing machines tick all the right boxes with retailers all around Australia, and the products are supported by a network of ASKO-trained service professionals. What is the largest washing machine capacity for home use? Singles and couples living in units and townhouses may prefer a 7kg machine that does the trick while not appearing ostentatious, although larger households are best suited with 8kg and 10kg washing machines. 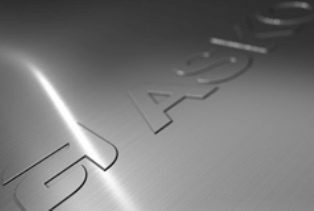 High quality appliance manufacturing has been an ASKO feature for generations, and adjustable water settings with tailored wash load programs are all part of the service. ASKO 8kg – 10kg washing machines are extremely popular in show homes and new builds around Australia, for lots of good reasons, and with ASKO you are assured that both form and function are of the highest standard. Convenience is key for most appliances, making a king-size 10kg washing machine the right choice for large households. As anyone knows, washing builds up fast, and anything that helps a family keep on top of housework is appreciated. What are some features of ASKO front load washing machines? Choosing the appropriate washing machine capacity can save you at least one or two wash loads per week. During the course of a year, you will save a lot of time, energy and money with an ASKO washing machine. Here are some features that make ASKO front load washing machine capacity and performance superior. SteelSeal: The SteelSeal solution supersedes the need for old-fashioned rubber bellows that build up grime, cause odours and deteriorate over time. Using commercial washer technology, the seamless SteelSeal drum is form-fitting, self-cleaning and longer lasting. Quattro: You may not realise that most washing machines have only two internal legs. ASKO minimalism conceals a superior system using four shock absorber Quattro system legs. Unwanted vibrations are eliminated for quiet operation during the lifetime of your product. Active Drum: Special ASKO Active Drum technology introduces special hourglass shaped lifting paddles for a cleaner, gentler wash. Laundry is moved to the centre during circulation, while dirt and gravel is guided toward the evacuation holes for removal. 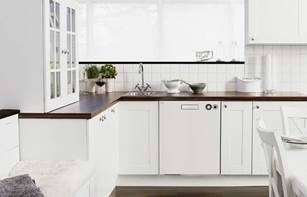 With the ASKO Active Drum solution, there is nowhere for grime to accumulate, leaving you with a cleaner wash.
SensiSave: ASKO appliances are known for their high energy-star and water-star ratings. The superior ratings are achieved in lots of ways, including SensiSave sensors that match the water level with the washing load, wash cycle and timer. In other words, a larger ASKO washing machine can wash smaller loads and still save money on energy bills. Long-Lasting Components: ASKO washing machines are manufactured with stainless steel inner and outer drums. 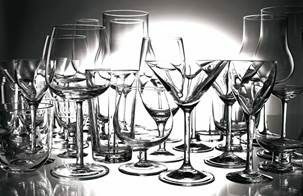 Stainless steel is durable, clean and easy to maintain, unlike perishable plastics that deteriorate and trap odours. The seamless, minimalist ASKO exterior conceals superior workmanship, highest quality materials, and amazing appliance innovations. 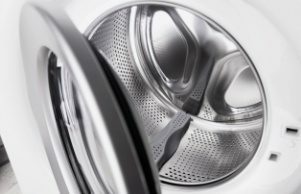 Does washing machine capacity affect energy efficiency? Washing is cost-effective when regular wash loads are close to the washing machine capacity kg limit. Purchasing an appliance size that suits your household needs is the first consideration. However, the special features incorporated into ASKO washing machines include settings that can be adjusted or automatically programmed for every type of wash.
Homes are becoming expansive, with appliances to match. At the same time, energy efficient and environmentally sustainable solutions are important considerations. Intelligent appliances assist the user with self-monitoring systems that optimise energy use. We believe in handling your washing with care using state of the art technology, personalised appliance options and decades of experience in manufacturing excellence. For more ASKO laundry appliance ideas, contact your nearest ASKO retailer today. With more than 600 specialist ASKO agents Australia-wide, the choice is all yours for creating convenient and contemporary home-style appeal.